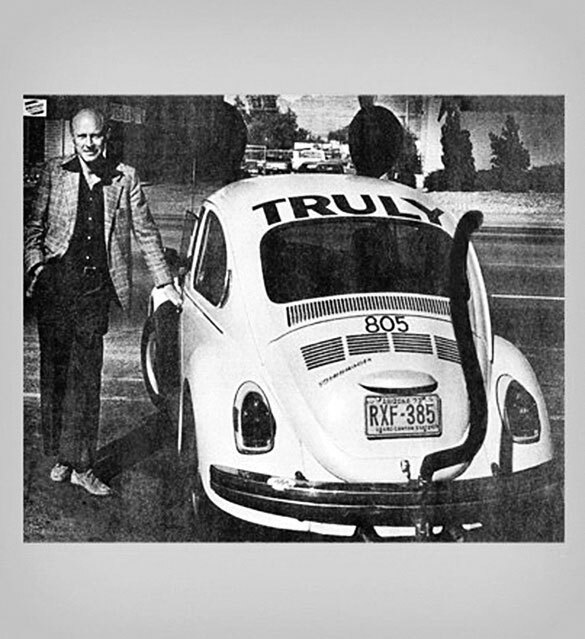 Truly David Nolen stands with the 1961 VW Beetle that started the Mouse Car fleet — a company tradition that continues today with modern Beetles, and permeates the company’s marketing, logo, etc. 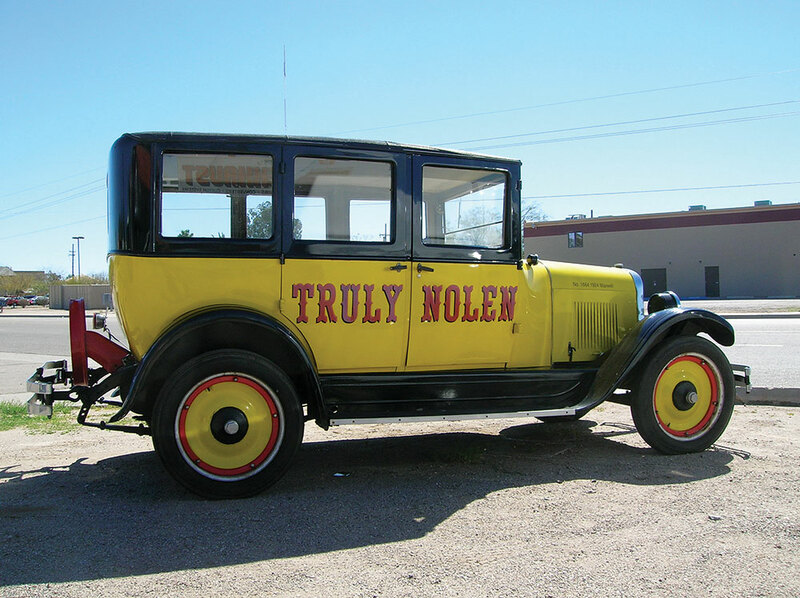 Nolen now resides in Florida, but still keeps a hand in the buying, restoring, customizing and selling of the classic vehicles, such as this 1924 Maxwell. The classic vehicles, like this 1931 Ford Model A, are often on the move to different locations, to keep communities guessing where they’ll be next. At a body shop in Marana, Ariz., this 1960 Nash Metro advertises its owner. 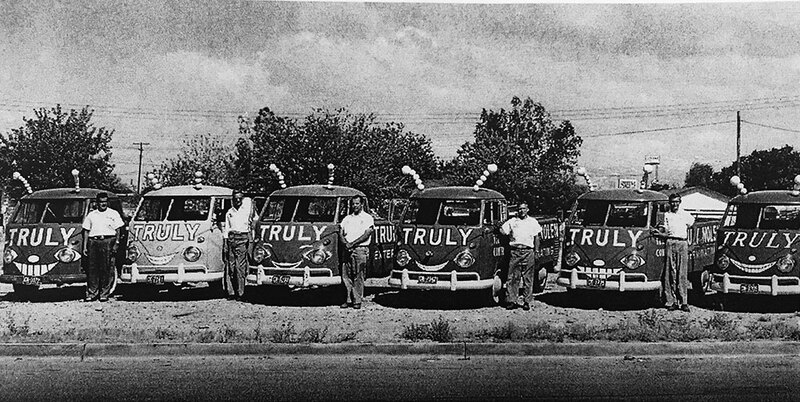 A Red Ant Truck lineup, circa 1960. 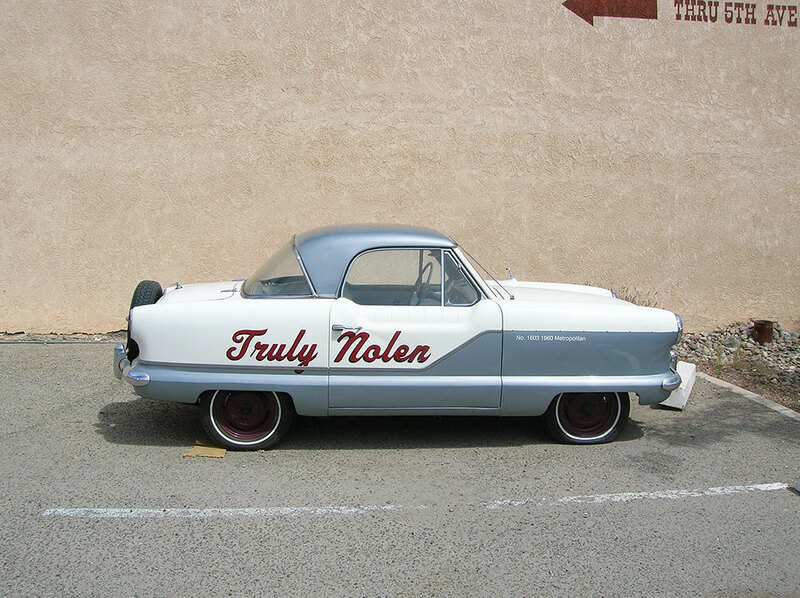 The technician trucks were ubiquitous until Nolen hit upon an even bigger marketing idea: the Truly Nolen Mouse Cars. 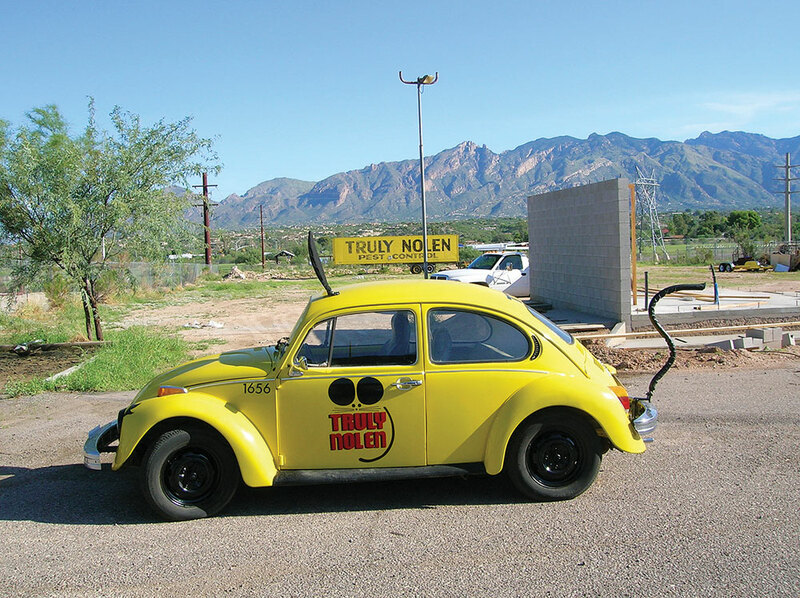 Retired from daily duty as a sales vehicle, this 1974 VW Beetle Mouse Car patiently waits at the North Tucson Truly Nolen branch for the next parade. 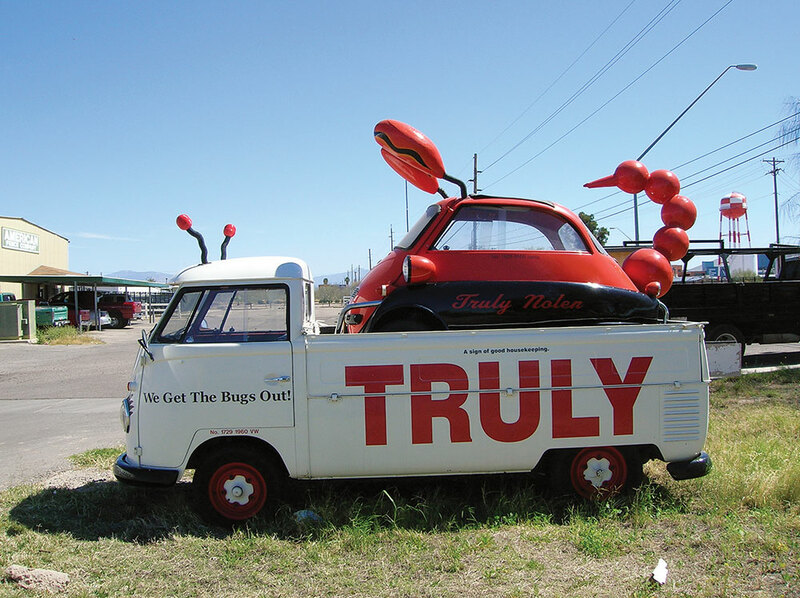 This 1960 Volkswagen pickup was painted white to stand out from its Red Ant bretheren. In its bed it totes a 1959 BMW Isetta made to look like a scorpion. In the mid-2000s, Truly Nolen went upscale with its VW Mouse Limousines. This one is the Mouse Limo III, which debuted last year decked out in the latest technology. 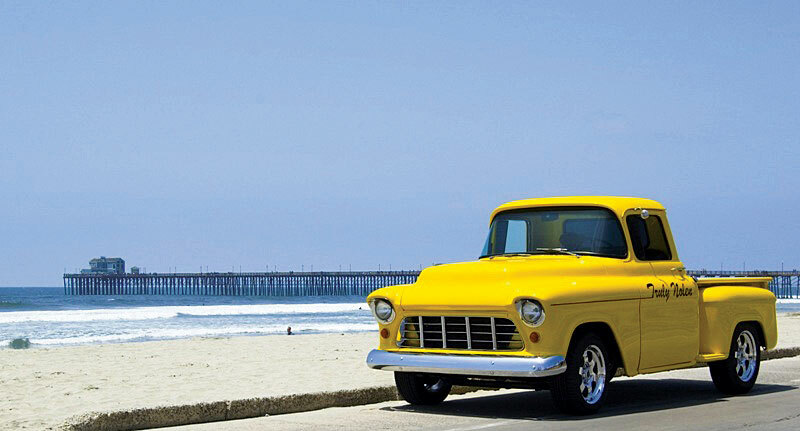 On display at the Palm Desert, Calif., Truly Nolen branch is this 1955 Chevy pickup. But it’s when one of his cars stopped rolling—specifically, sitting in the mechanic’s roadside parking lot while waiting on a back-ordered part—that his phone began to ring. 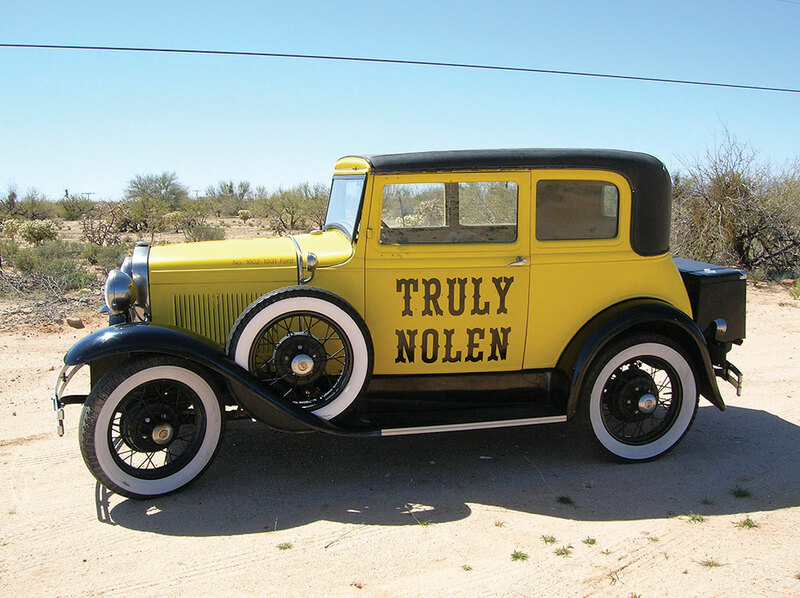 The experience led Nolen to step up his collection of eye-catching cars and park them around town, a tradition the company carries to this day in both Tucson and in Naples, Fla., where Nolen now resides. 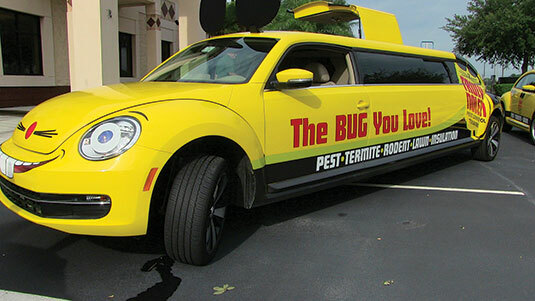 “It’s a win-win for Truly Nolen and for the business hosting the vehicle,” says Toby Srebnik, public relations manager for Truly Nolen Pest Control. The vehicles are kept road-ready by a fleet manager, and each one is available for parades, school visits and special events. All photos courtesy of Truly Nolen Pest Control.